Three virtual reality projects, exploring how technology can be used as a tool to develop empathy, manipulate mood and reduce pain and anxiety. 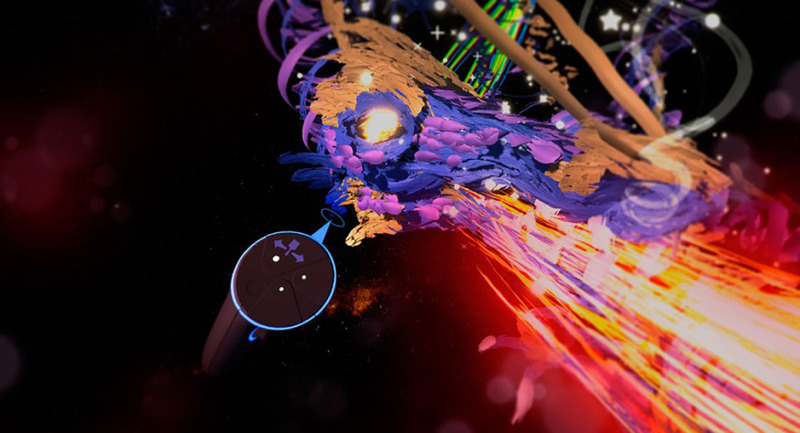 Phoria’s ‘DREAM3D’ platform comprises multiple virtual reality experiences. Utilising sound design, haptic feedback and 360 film simultaneously, aiming to alleviate anxiety, improve the recovery process and reduce the need for additional medication and pharmaceutical treatments. Viewers are transported through a number of natural and urban environments, accompanied by powerful soundscapes and sensorial vibrations immersing the user in the experience. This program is in pilot stage with clinical trials in progress. ‘Liminal’ takes a different approach, drawing on neuroscientific research to create an interactive abstract design experience that will induce a range of cognitive and emotional states from energetic to calm. Psychometric research has found that these specific calm and energy experiences not only generate instant emotional change, but also positively influence moods for at least 30 minutes after use in the majority of users. By contrast, ‘Hue’ is an immersive and visually driven interactive film about a man who has lost the ability to see colour. This allows viewers explore an emotional and character-driven narrative, using empathetic touch to help reawaken his senses. Join us for a panel discussion exploring the existing landscape and future possibilities of immersive technologies as a therapeutic and educational tool. Led by virtual reality experts across neuroscience, film, contemporary art and user experience, you will hear about a number of works designed to challenge cognitive bias, decrease pain and anxiety, influence mood and energy and develop empathy through experience visualisation. Demos will be available before and after the talk. This project is supported by Samsung, and Subpac. Sarah is a British producer and curator with an academic background in anthropology. She has spent her career working across the interdisciplinary arts and moving image from film to virtual reality and technology. She is passionate about the intersection of contemporary art, film and virtual reality, and how we can use technology as a tool to express ideas, create communities and understand the human condition. She is currently applying for a PhD exploring psychosis and immersive technologies at the University of New South Wales.